Hall Of Fame trainer Neville Begg has had a lot of thrills in his 87 years, but few rank higher than breeding and racing Saturday’s Group 1 Blue Diamond Stakes winner Written By. Written By (Written Tycoon x Yau Chin) emphatically franked himself as Victoria’s best 2YO with the dominant Blue Diamond win, giving Begg his first 2YO Group 1 winner as a breeder/owner and his trainer son Grahame another top-level success. “It’s so exciting and it’s an especially great result for Grahame,’’ Neville Begg said. “I’ve been breeding horses for 50 years I’d say but to get my first 2YO Group 1 with one I’ve bred is a big thrill for me and Yvonne and the family. The win by the son of Written Tycoon was the first by a Victorian sired juvenile since 2004 when the champion filly Alinghi took out the State’s premier 2YO race. Alinghi was the daughter of then Blue Gum Farm based Encosta De Lago. Her victory though contributed to the star sire relocating north that year to Coolmore in the Hunter Valley. Comments in the past by Woodside Park principal Mark Rowsthorn would indicate there is a snow flake’s chance in hell of his champion sire leaving his Tylden base for pastures north of the Murray River. Written By is now an $8 chance with tab.com.au for the Group 1 Golden Slipper at Rosehill on March 24 with trainer Graham Begg saying the colt is a 50/50 proposition for the race. Neville Begg purchased Written By’s mother Yau Chin from the Scone Select Yearling Sale for $3000 in 2007. Written By is her fourth foal to race, and all are winners. Unfortunately, the next foal of the mare’s, also a Written Tycoon colt, died as a result of a paddock accident last year. Written By is a product of last year’s Inglis Premier Yearling Sale, where he was offered by Nagambie’s Basinghall Farm. Basinghall’s Tas Rielley was amazed with the result. “It’s just such a thrill to have some small part in this success,’’ Rielley said. “He wasn’t the biggest horse at the sale, but I tell you what, he must have a big heart because he won that so well. 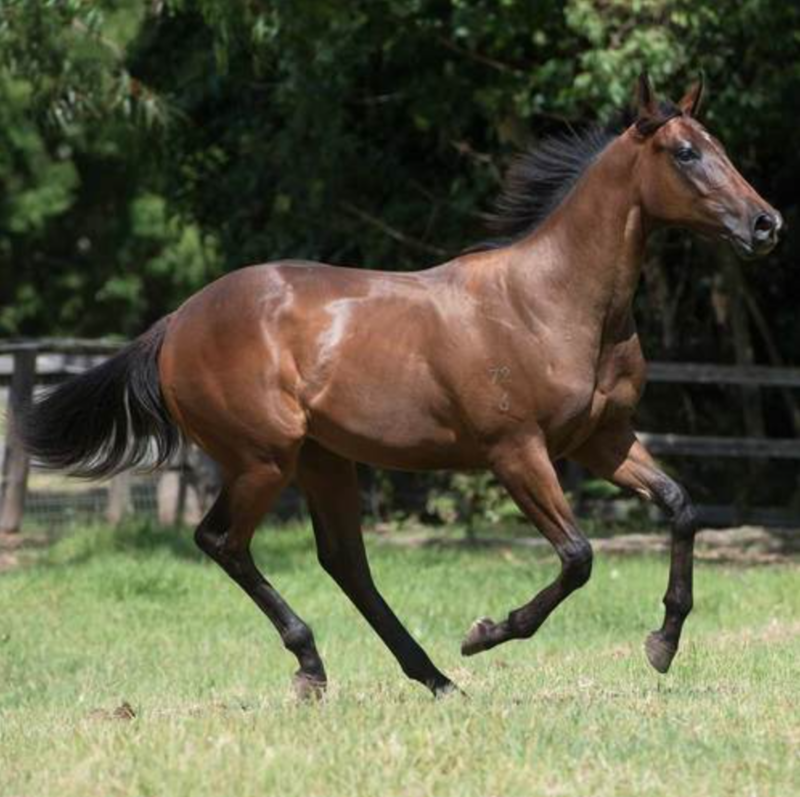 “We’ve got another Written Tycoon colt in our Premier draft this year, again not a huge fellow, but it would be nice to think he could be the next Written By.’’ Full details at inglis.com.au. All up, there are 47 progeny of Written Tycoon catalogued for next week’s Premier Sale. Any vendor with one of those will certainly be thanking the Begg family for that extra bid or five they may get for their prized yearling! 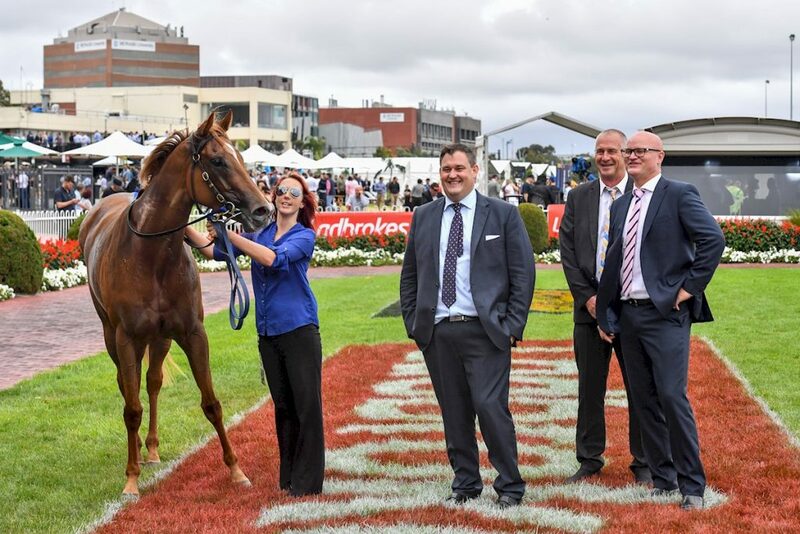 Uluru Stud’s home-bred filly Summer Sham maintained her unbeaten record with a brilliant victory in Saturday’s Group 2 Angus Armanasco Stakes over 1400 metres at Caulfield for successful breeder and owner Jeffrey Dimery of Uluru Stud. “It was just stellar, and I was right on the fence in the mounting yard, enjoying every minute. She’s only a small filly, but she has a great motor.” Dimery said. Dimery’s long-term trainer Danny O’Brien said he was thrilled with the way the filly had coped with the steep rise in class between each of her three career runs, all in her first racing preparation. “She’s a lightly-raced filly that’s racing in great form and she was brilliant from the gate, which gave nothing else a chance from there,” O’Brien said. Her jockey, Daniel Moor thanked the loyalty of Sumer Sham’s connections, including breeder and part-owner Jeff Dimery. The Group 2 win of Summer Sham certainly justified Dimery’s decision to purchase her dam Hot Summer Night (Fusaichi Pegasus) for $300,000 in foal with Summer Sham at the 2014 Teeley Assets Dispersal Sale as part of the Magic Millions National Sale. In 2017, Dimery dispersed the breeding stock of Uluru Stud due to a change in personal circumstances, however, he is now starting his operation back up from scratch. “It will be a different model this time, as I have also sold my farm so, instead of running a property, I will work with other farms this time. “I currently have a couple of racing fillies that I will breed from and now Summer Sham has added important “black type” to her pedigree she will become one of the founding broodmares in the rebuilding of my breeding operation. What a weekend for Woodside! Woodside Park Stud had plenty to celebrate last weekend. And they will be hoping the success flows into next week’s Inglis Premier Yearling Sale where they have a magnificent line-up of young horses. Results for Woodside included the outstanding win of Written Tycoon’s son, Written By in the Blue Diamond Stakes, the tough fighting victory of Sunlight in the Group 2 Silver Slipper and their future stallion Tosen Stardom looking back to his best and ready to take on the Sydney Carnival. Written By’s Blue Diamond victory handed his sire his fifth individual Group 1 winner and cemented Written Tycoon as one of the great stallions of recent times. If Grahame Begg sends Written to the prestigious Gold Slipper there is a very talented filly, by the name of Sunlight that he will be meeting head on. “It would be incredible for Woodside Park Stud if we had Zoustar’s Sunlight and Written Tycoon’s Written By going head to head in the Slipper,” Tillett said. “The current Two-Year-Old Sire table has Zoustar and Written Tycoon ranked first and second. It’s a brilliant achievement for Woodside Park Stud and for the Victorian breeding industry. Zoustar’s claim on that top ranking is thanks to the tough, fighting victory of Sunlight in the Group 2 Silver Slipper at Rosehill. “It was an incredible race, they put about eight lengths on the field. It goes to show what a master trainer Tony McEvoy is, and she is no doubt going to improve,” Tillett said. The weekend’s results are cherry on the top for the vendors of the 47 Written Tycoon yearlings and 38 Zoustars catalogued in next week’s Inglis Premier Sale not to mention Woodside’s draft which is unsurprisingly dominated by the two sires. “This yearling crop being offered was Woodside Park Stud’s breakthrough year, when we had Zoustar at $40,000 and Written Tycoon at $18,000. It was the first time the larger, commercial breeders had put faith in us and we are looking forward to them reaping the rewards,” Tillett said. To top off Saturday at Caulfield, Woodside was thrilled to see their future sire, Tosen Stardom back to his best in the Group 1 Futurity Stakes. “Everything that could go wrong last start did, but he is now going as well as ever, and it was so exciting to see him back at his peak,” Tillett said. Spendthrift Australia’s I Am Invincible colt Overshare has affirmed himself as an attractive future stallion after adding Group success to his resume by claiming the Zeditave Stakes at Caulfield. 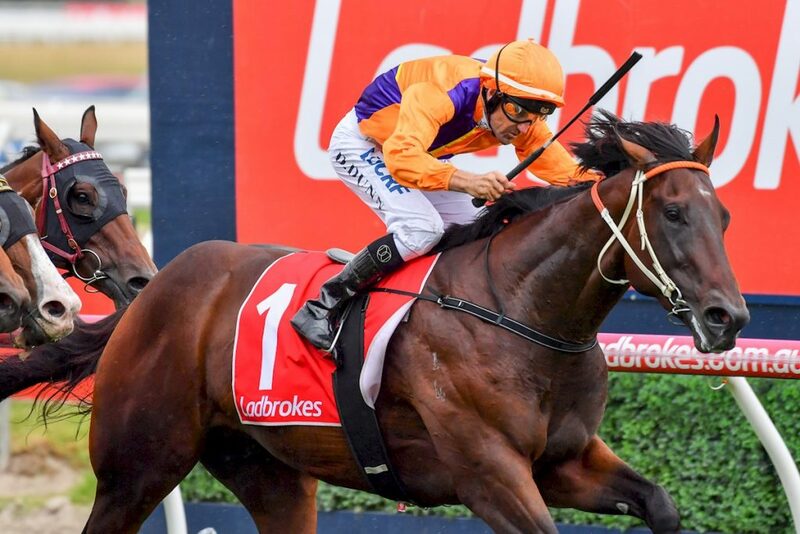 Spendthrift Australia’s General Manager Garry Cuddy was delighted that the colt could showcase his class in a quality field on one of Australia’s biggest days in racing. “It was fantastic that he was able to get the job done this time. He had no luck first-up in the Manfred Stakes, where he was stuck wide and only just beaten by a smart horse in Cliff’s Edge,” Cuddy said. Over the next month, there are a few options for the talented colt, however, Cuddy is happy to leave the decisions to the experts. “The Hawkes stable does a great job for us, and where he heads to next will be up to the stable. John (Hawkes) is a Hall of Fame trainer, I’m not! So I’m sure he will find something to suit over the next couple of weeks and be in touch when he has a plan.” Cuddy said. Having won the Listed McKenzie Stakes at Moonee Valley back in August last year, Overshare now advances his record to 3 wins and 1 second from 9 starts with earnings of $246,450. A $320,000 Inglis Easter Sale purchase for Spendthrift Australia, Overshare is the first winner for Group 3 placed Redoute’s Choice mare Savannah’s Choice. The dam is a half-sister to Champion Japanese 3YO Filly Cesario, the dam of Japan Cup winner Epiphania and the 2015 Champion 2YO Japanese Colt Leontes. “We found him at the Easter sale, hidden away down the back corner of Barn 2 in the Victoria Park draft of two horses. We just loved him and kept going back to see him. Our Farm Manager, Grant Burrill and I couldn’t get enough of him,” Cuddy said. “He was an A-plus physical type, and I think that we were lucky that he was hidden away, so were able to secure him for the $320,000 we paid. Spendthrift has already tasted success in the yearling market, by successfully purchasing the sire son of Redoute’s Choice, Swear. 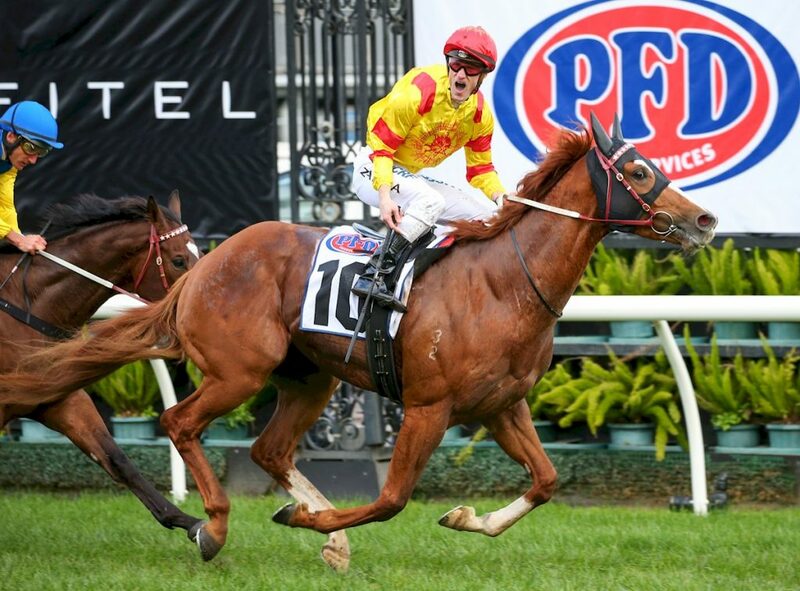 Debuting last breeding season, Swear was a $725,000 yearling purchase who went on to win the Group 3 Ming Dynasty Quality, runner-up to Yankee Rose in the Group 1 ATC Spring Champion Stakes, and a gallant 5th in the Group 1 VRC Derby. Spendthrift Australia has now been based in Kerrie about 50 kilometers north west of Melbourne for the last three years. “The fencing has not stopped, we are still installing the brand-new Kentucky style four board post and rail fencing, and we are now doing the stallion runs. It is a massive job, but it is exciting to see it all come together as it’s been a vision that Grant and I have shared since he came on board,” Cuddy said. At the Inglis Premier sales this week, Spendthrift has six first crop yearlings from their stallions catalogued, including three lovely Hampton Court fillies, across six separate drafts. “We like to share the love amongst the vendors and spread them around. Mr (B Wayne) Hughes (owner of Spendthrift) believes it is important that we support the people that are supporting us,” Cuddy said. “The people that are selling for us have been our biggest supporters over the first few years of the business and hopefully they can continue to be in the years to come. We want them to get good results, as that means good results for us, so it is a win-win for all. “Rushton Park will be selling our Into Mischief colt, Lot 172 out of American mare Supermoon, while our Redoute’s Choice x Savsbelle filly as Lot 62, is being offered by Supreme Thoroughbreds. Running for mi VOBIS returns! One of Australia’s newest and most fascinating syndicates has made its first move to share in the spoils of Victoria’s $24 million VOBIS scheme. Micro-syndication business miRunners has this week signed up its recently purchased Zoustar colt to Super VOBIS allowing it to also chase VOBIS bonuses and prizemoney including the $1 million inaugural Showdown 2YO race in 2019.
miRunners employs a new ownership model where the purchase price is split into 1,000 equal units and made available to prospective owners, essentially allowing them to choose their own price point for premium level ownership. The Zoustar colt (ex Shack) offered at the 2018 Magic Millions Gold Coast Yearling Sale by Baramul Stud was purchased for $275,000 (incl GST) meaning a single share costs owners $275. miRunners has placed the colt with the highly successful Lindsay Park. Co-trainer David Hayes is an unabashed fan of VOBIS and the new $1 million Showdown race so will be thrilled to get a colt such as this in his stable. miRunners Director, Steve Brown, explains that being a son of Australia’s leading first season sire (by earnings), this colt has great commercial appeal, while he was also impressed by his ability to handle pressure at the sale. “Zoustar was a freakish racehorse and is now a very, very exciting stallion. We were rather pleased to secure our colt on the Wednesday before Sunlight won the Magic Millions (the following Saturday),” Brown noted. “The Showdown just oozes excitement for miRunners and our owners. We can confidently state that should our Zoustar colt be in The Showdown, rest assured that our (very large) ownership group will ensure the race day atmosphere goes to an entirely new level,” Brown said. Bidding for Super VOBIS and VOBIS Sires eligible yearlings at the Inglis Premier Yearling Sale next week is set to be highly competitive, but miRunners is determined to add more VOBIS Sires eligible yearlings to its portfolio. “We will certainly be hunting hard at the Premier Sale. With the brilliant incentives in place around The Showdown, and given we aim to buy early runners, yearlings by Victorian sires will now be right in our sweet spot,” Brown explains. miRunners’ trainer, David Hayes, is another great supporter of the Victorian breeding industry and the VOBIS scheme. He too is sure to be out at Oaklands Junction with an eye on the catchy VOBIS hip stickers. “We bought a couple of yearlings at the Classic Sale, and we’re looking forward to buying more at Premier. They’ve got to be VOBIS so we can get that $1 million for The Showdown!” Hayes said. Full details of the Zoustar colt and Mirunners can be found at mirunners.com. See the list of VOBIS Sires eligible yearlings that will be offered at the Inglis Premier Yearling Sale. Oaks win a real Pleasure! Victorian-bred and trained Pleasuring made it back-to-back interstate stakes wins when the Contract Racing homebred filly was victorious in the Listed Tasmanian Oaks over 2100 metres at Launceston on Sunday. The Darren Weir-trained daughter of Hard Spun had been too strong for her opposition in the Listed Strutt Stakes over 2100 metres at Hobart two weeks earlier and continued to show her class edge over her opposition when she comfortably triumphed in the Oaks. An elated Jenny Moodie, breeder, and owner, was impressed with how easily their filly won and praised the training talents of Weir. “It was a race we haven’t won before and it was a very nice win indeed,” Moodie said. “Darren has done an amazing job with her to keep her going, as she has now had eight starts this preparation. It’s a good effort for a slightly built filly, especially having to travel backwards and forwards on the boat on two occasions. “She will go back to the stable and Darren will assess where she goes to next. We would love to look at the Australasian Oaks during the Adelaide Carnival, but we will wait and see how the filly pulls up. Travelling foreman Jarrod McLean again praised Weir’s training talents and the ride by jockey Damian Lane. “Weiry always gets it right, and he’s timed this to perfection…she was gifted a brilliant ride by Damian Lane,” McLean said. Pleasuring hails from a strong winning family, being the best of seven winners from the End Sweep mare, Sleeplessinseattle, who is half-sister to South African Group 2 winner Seattle Ice and South African stakes-winner Profit Report. Her dam Seattle Rhyme produced 10 foals to race, eight of them winners and third dam Elizabeth Drake got 12 to the track for 10 winners, including the Australian Group 1 performer Northern Drake. Although having sold the mare last year at the Inglis August Thoroughbred sale for only $800 (to Seco Syndications), the Moodies have retained her Canford Cliffs two-year-old colt. “Someone has picked up a nice bargain, and I wish them the best of luck,” Moodie said. The Moodies, in conjunction with business partner Ashley Hardwick, have an impressive group of yearling colts up for sale at next week’s Inglis Premier Yearling Sale. “We have a lovely Written Tycoon colt going through the sale with part-owners Musk Creek Farm. He is the first foal from Beach Front, a fast Strategic sprinting mare,” Moodie said. “We also have six yearling colts in the draft of Maluka Thoroughbreds. They include the incredibly strong and compact Brazen Beau colt out of Crystal Ruby who is a half-sister to Crystal Lily. A half-brother to multiple Group 1 winner Le Romain headlines the team of five yearlings sent by Greta West Stud to next week’s Inglis Melbourne Premier Sale. Studmaster Laurie McCarthy reared the Kuroshio – Mignard colt which has been catalogued as Lot 509 and will go through the ring on Tuesday. “We sent him over to Damian Gleeson to be prepped at Phoenix Farm,” McCarthy said. Le Romain, raised at Greta West Stud for the Carusi brothers, has three Group 1 wins to his credit. Trainer Kris Lees has set him for another Group 1 campaign targeting the Canterbury Stakes (1300m), the George Ryder Stakes (1500m) and the Doncaster Handicap (1600m). Greta West Stud also entered two colts and two fillies that will be sold through the Bucklee Farm draft. The Keep The Faith – White Hart Lane colt (Lot 640) is a brother to Listed Laelia Stakes winner Lucky Penny. “He’s a big lump of a horse and is powerful through the front-end to his hindquarters. His dam has thrown five winners and she’s got a cracking Toronado colt on the ground,” McCarthy added. The Street Boss – Sacre Coeur colt (Lot 58) is the first foal of a half-sister to Group 1 Epsom Handicap winner Rock Kingdom. The first Greta West filly to parade is by Swettenham shuttler Toronado from winning Redoute’s Choice mare Angelmouse (Lot 241) followed by the Fighting Sun filly out of Mega Miss (Lot 744). Greta West sold a Fighting Sun colt for $115,000 to Sun Bloodstock at the 2017 Premier Sale. He has been named Reptilian Rider and has had one preparation without racing for Gerald Ryan at Rosehill. “Our Fighting Sun filly is strong on top and should get going as a two-year-old,” McCarthy predicted. 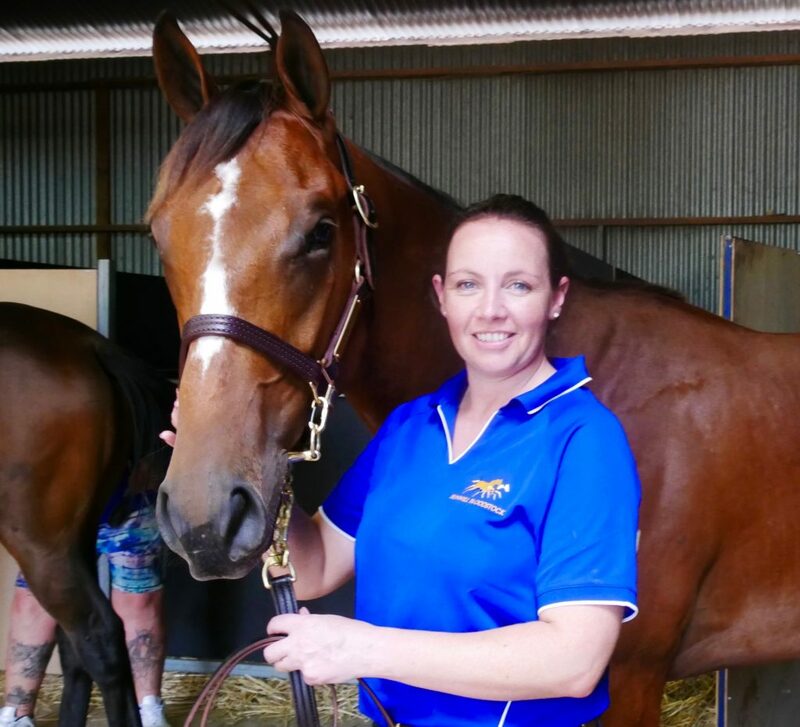 Lancefield’s Sunhill Bloodstock may only be a small operation, but the effort and dedication Sinead Hughes shows each and every horse in her care more than makes up for its size. The results of that dedication will be on display at Oaklands Junction this week and next as the Sunhill team presents its first ever draft of yearlings at the Inglis Premier Sale. “Our goal for the future is for Sunhill Bloodstock to take a small, top-quality draft of five or six horses to the best sales in Australia. I want to target the January Magic Millions, Inglis Easter and Inglis Premier,” Hughes said. The debut yearling draft has already arrived safe and sound at the sales complex ahead of the Inglis Premier sale and early reports are that they are already busy with parades. “They are just a lovely, quiet, well-handed group of colts. They have settled in and are ready for a big week of inspections,” Hughes said. “I am very proud that Sunhill Bloodstock is opening the Premier sale for 2018 with Lot 1 the Rubick colt out of Paparazzi Dreamer. Sinead says that Lot 522 is Sunhill’s draft standout, a Snitzel colt out of the Listed winner and Group placed Miss Power Bird. From the family of Time For War, Hiflyer, Lucky Owners and Mosheen, his impressive page compliments his athletic type. “He will be popular with buyers and will be perfect for the syndication market. He is a pure gentleman, beautifully balanced with a lovely head,” Hughes said. The draft is rounded out by two Fighting Sun colts (Lots 599 and 600) and the Lot 690 Magic Albert colt. Details of the full draft can be found on the Inglis Premier website. Meanwhile, Hughes has been hard-working, developing her new Lancefield property over the last six months both from an operational and infrastructure prospective. “We have successfully completed our first breeding season on the farm which was rewarding. It’s been a busy time, but we have already come so far. I have now got to know the property and can start to make further improvements and changes to suit our individual needs,” she said. Sun Stud has announced the appointment of Mark Lindsay as Senior Sales and Nominations Manager. Mark is set to return to Sun Stud in a leadership role of Senior Sales and Nominations Manager. He is a familiar face for Victorian breeders having previously held the position of Nominations Manager at Eliza Park and Sun Stud from 2008-2015. After a two-season stint in the Hunter Valley, the lure to be based full-time in his adopted home state of Victoria proved too much for the former New Zealand native to resist. “I thoroughly enjoyed my time working with Newgate Farm, however the people that know me well, knew that I always felt Victoria was my home,” Lindsay said. Danielle Cheng, Managing Director of Sun Stud has welcomed the new addition to the farm. “Mark is an experienced operator and he knows the challenges and the commercial realities that exist for breeders. He is proactive and understands what we wish to achieve with the Sun Stud business,” Cheng said. Mark is clearly impressed with the current roster and what the future holds. “The progeny of first season sires Fighting Sun and Fiorente have shown potential, while mainstay Magnus sits just outside the top 10 on the Australian General Sires Table with 70 individual winners and over $4 million in earnings for the season,” he said. “Add to the mix exciting Group 1 winning two-year-old National Defense (by Invincible Spirit) who will shuttle from Europe this coming season and recent Group 2 winner Thronum (by Snitzel from the family of Street Cry and Shamardal) who will stand at Sun Stud in the near future”. Sun Stud is presenting 26 yearlings at next week’s Inglis Melbourne Premier Sale at which breeders can catch up with Mark and discuss future breeding plans. Mark will be responsible for the Bloodstock Sales, Stallions and Client Relations. He can be contacted on 0499 032 986 or mlindsay@sunstud.com.au. James O’Brien, President of Thoroughbred Breeders Victoria, has made the following statement following the very concerning stories appearing in the media in recent days regarding cheating in racing. It is a busy and critical period for Victorian breeders with just 10 days until the Inglis Premier Yearling Sale starts. This is the most important sale for the State’s breeding industry. Stories appearing in the media over the past 48 hours regarding cheating across racing stables are very concerning and indeed damaging to not just racing, but also the breeding sector on the eve of the sale. Thoroughbred Breeders Victoria has written to Racing Victoria strongly encouraging zero tolerance to cheating in racing. We made it clear that Racing Victoria must provide confidence, to the industry and general public, that those cheating simply cannot avoid scrutiny, apprehension and penalty. Failure to do so would run the great risk of tarnishing the reputation of racing, its level of engagement and interest with the public and the number of people wanting to own racehorses. Any reduction in these elements has a flow-on detrimental effect to the breeding industry. Statements made thus far by RV and the level of integrity resources assigned to detecting cheating are very encouraging. This must continue and, if anything, made even stronger. The 2017 breeding statistics are in. And they show that 15 Victorian based stallions covered in excess of 100 mares during the season. Chatswood Stud’s Reward For Effort was the most prolific among them with 200 mares covered followed by the Woodside Park pair of Zoustar (179 mares) and Written Tycoon (165 mares). The honours for the most popular first season sire went to Sun Stud’s new boy, a dual Group 1 winning son of Teofilo. He played host to 112 mares during the 2017 breeding season. Just behind him were Darley Northwood’s shuttle sire Frosted (102 mares) and Woodside Park based Cable Bay (100 mares). Spendthrift Australia’s Jimmy Creed (Distorted Humor) had a quiet first season in Australia back in 2015, but since then has served 71 mares in 2016 and 112 mares last year. This popularity comes off the back of his superb first crop of youngsters in the Northern Hemisphere which has included three Group winners and another four black-type performers. Another stallion to come from interstate last season was Woodside Park’s young son of Written Tycoon, Rich Enuff. Among the most popular first season sires in Queensland in 2016, he continued that at Woodside’s Tylden base with 114 mares covered. It’s something old and something new for a draft at this year’s Inglis Premier Sale. The something ‘old’ (not by age!) are the well known Darren and Liz Dance (of Australian Thoroughbred Bloodstock fame) while the new kid on the block is their new partner Esker Lodge Australia. Esker Lodge Australia operates out of Darren & Liz Dance’s stud and agistment property, Manningtree Park, at Beremboke between Melbourne and Ballarat. The property was originally established for the Dance’s racehorses and broodmares, but with the arrival of two well-respected Kiwis at the farm, they have expanded the operation to include yearling preparation. The first draft will be at the upcoming Inglis Premier Sale. “Tom and Shelly Murtagh came over from New Zealand to manage our farm at the start of August, as part of a dedicated team looking after the property,” Darren Dance said. “Well-known through New Zealand’s Esker Lodge, they are both exceptionally experienced and have a wealth of knowledge and professionalism behind them,” Darren Dance said. “They are involved in the buying and selling of the weanlings, yearlings and broodmares and all the foaling down. They have done a brilliant job preparing the first debut draft under our yearling preparation brand, Esker Lodge Australia. “This group of yearlings going to the sales are homebreds, bar a couple which we are preparing on behalf of clients. One of their standout lots is 392, a Zoustar colt out of Flying Hula (Flying Spur), a mare Darren and Liz raced. With Zoustar hot to trot now, he will be expected to sell very well. Another yearling that is close to Darren’s heart is the Lot 488 Fastnet Rock filly out of their high-class Lonhro race mare Lonhspresso. With a broodmare band now numbering thirty-five, Darren and Liz currently have twenty-five foals on the ground at Manningtree Park. “We have a great selection going to the weanling sales, while the others are headed to next years Melbourne’s Premier sale,” Darren said. “We are proud and passionate Victorians. We bought two well-bred Snitzel colts last year (at the Easter Sale) with the dream of turning them into Group winning horses and standing them here in Victoria. 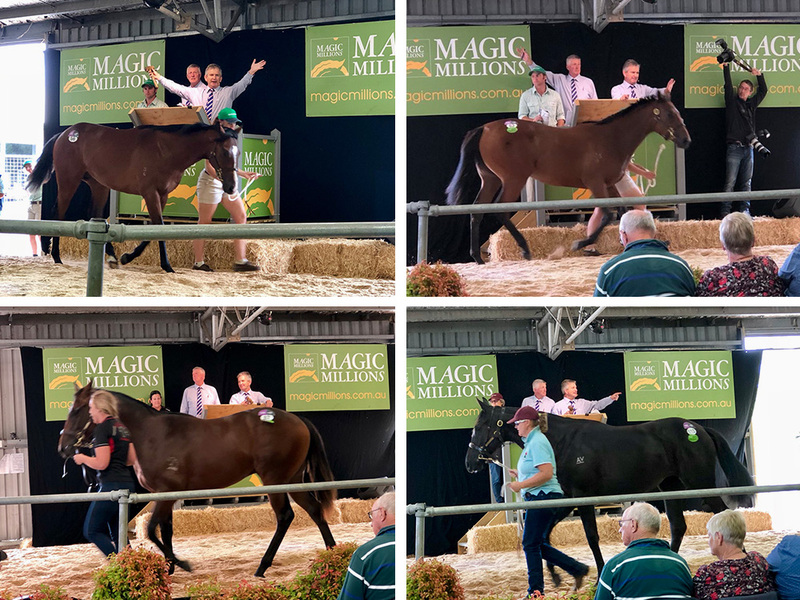 Last week’s record-breaking Magic Millions Tasmanian Yearling Sale proved there is high demand for the progeny of Victorian-based stallions amidst what is considered to be one of the strongest yearling markets of all time. The 2018 edition of the Tasmanian sale returned a record gross price of almost $2.8 million, (up from a mere $1 million in 2014), while the average selling price of $29,729 was a 24% improvement on last year’s figures. The currency of Victorian-sired yearlings played an essential hand in these results, with notable sales for Swettenham Stud’s first-crop yearling sires Toronado and Puissance de Lune. Stamped with the same athleticism of his dual Group 1 winning sire, the popular Toronado colt catalogued as lot 56 was snapped up for $80,000 by the partnership of Wylie Dalziel, Peter Moody and Darren Weir to become the highest priced Victorian-sired lot of the sale. Meanwhile, the first yearling sold by Toronado’s Swettenham barn mate, Puissance de Lune, was knocked down to Australian Bloodstock and Darren Weir for $67,500. 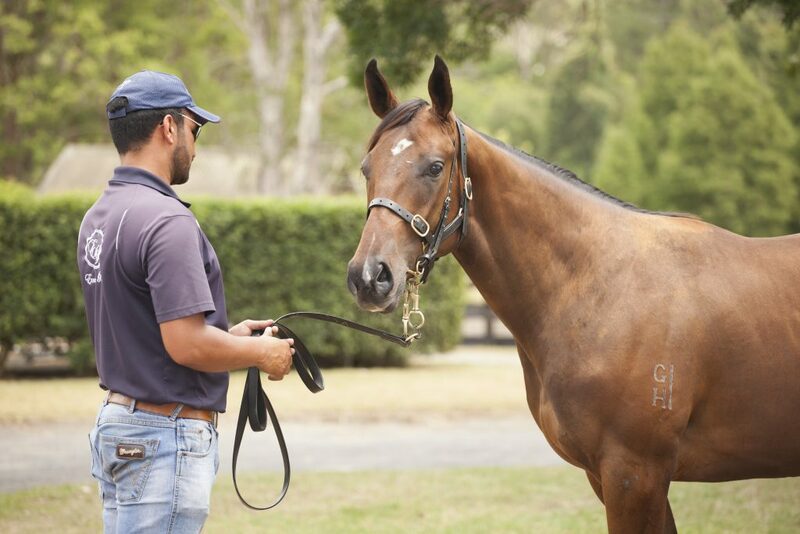 Both yearlings were adorned with the highly sought after Super VOBIS/VOBIS Sires hip-sticker, and Swettenham principal Adam Sangster is delighted that the Tasmanian Yearling Sale has set a great precedent for his stallions ahead of the Inglis Premier Sale. “We are so excited to see the incredible success of resident stallion Puissance de Lune with this filly being not only his first ever yearling to sell at public auction, but also to sell at more than eight times his service fee,” Sangster said. Other Victorian first-crop sires to enjoy a successful sale included the Bombora Downs-based sire Warhorse, as well as Larneuk Stud’s Cluster, both of whose first yearlings sold well above the average price at $45,000 each. The yearling progeny of Sun Stud’s Fighting Sun, one of Victoria’s leading first season sires, also sold strongly with lots 33 and 57 selling for $55,000 and $50,000 respectively. The support of the Victorian yearling purchasers also contributed to the impressive sale results, with the Ellerton Zahra Racing stable leading the buying bench with four lots acquired for a total of $245,000. It was co-trainer Simon Zahra’s fifth year in a row at the Tasmanian sale, and while he is excited by the prospect of the sale-topping $100,000 Epaulette colt, he also spoke highly of the Street Boss filly he purchased for the stable at $65,000. “She’s a really nice filly who will take a bit of time, but she’s by a seriously good stallion. When I want a horse, I buy it no matter what,” Zahra said. Zahra also noted that VOBIS bonuses encourage positive buyer behaviour, particularly at the upcoming Inglis Premier Sale. Bombora Downs’ Christoph Bruechert is excited to present his stallion Warhorse’s first crop of yearlings at the upcoming 2018 Inglis Premier Yearling Sale from March 4 – 7 at the Oaklands complex. 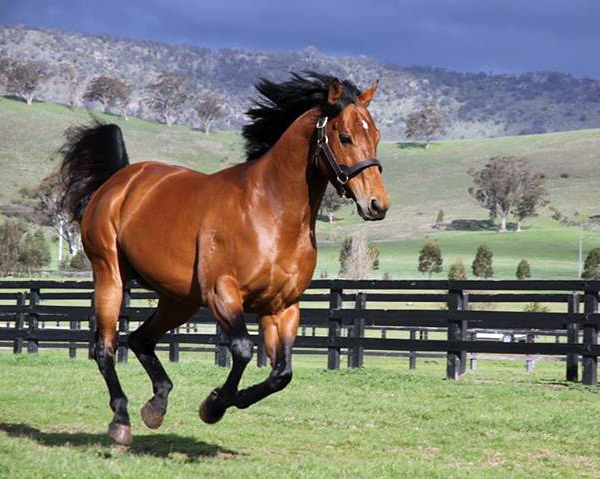 A Champion, Group 1 winning two-year-old in New Zealand, Warhorse was the best performed son of outstanding Australian speed sire, General Nediym, and now calls Bombora Downs at Bittern on the Mornington Peninsula his home. “Warhorse has been well supported by breeders with two good sized books of mares and most importantly, he will not only have the numbers, but also the quality out there hitting the track in the years to come,” Bruechert said. Bruechert is excited with the quality of yearlings Warhorse has produced for his first crop and is delighted to showcase two of the three lots accepted at Premier. 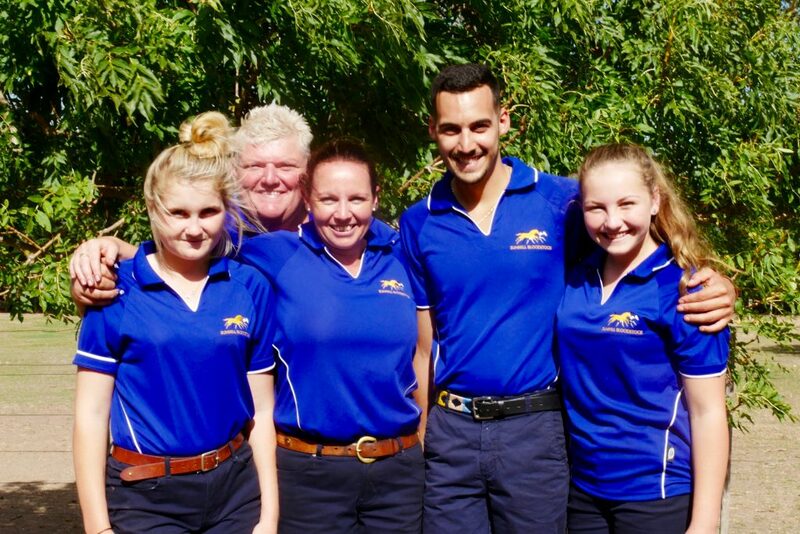 “It’s such a busy time of year, as we are finishing off the tail-end of the stud season, beginning to handle the weanlings and we have a barn full of yearlings for next week. With the normal everyday jobs and feeding as well, we are certainly a busy operation at the moment,” Bruechert said. Bruechert took heart at the success Warhorse had at the Tasmanian Magic Millions with his first sales yearling making $45,000 in selling to astute buyer and trainer, John Blacker. “Not an overly big, but a very strong yearling. He is short coupled, powerfully built that will mature pretty quickly and, given that Warhorse’s progeny are all eligible for the VOBIS Sires $1 Million Showdown 2YO race and overall $24 million VOBIS scheme, this horse is a prime candidate. Palya’s Prairie is on fire! 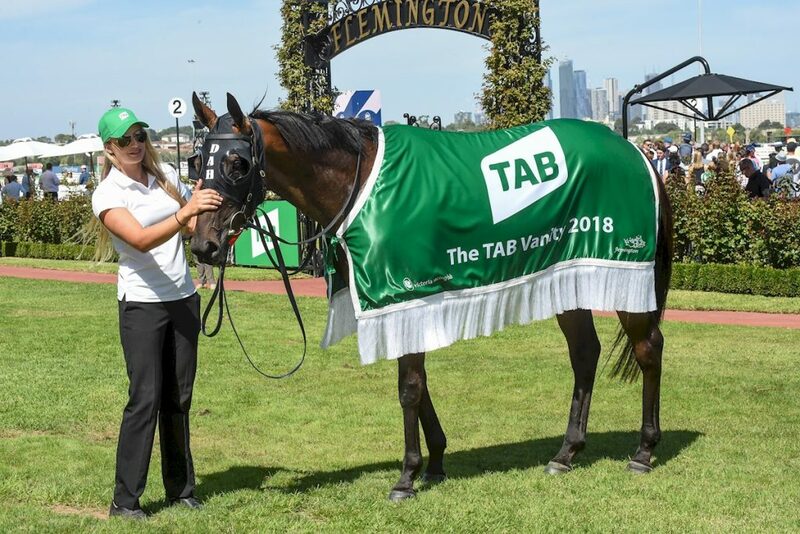 Saturday’s Flemington Listed winner Prairie Fire has become the gift that just keeps giving for Victorian breeders Ed and Libby McKeon and son Clark who operate under the Palya Bloodstock banner. Firstly the colt achieved an incredible sale price as a yearling; secondly he gives them – as breeders – a stake in the Blue Diamond; and, finally, he has provided a fabulous update for the half relation that they are selling in a fortnight at the Inglis Premier Sale. The black-type success gives his yearling three-quarter brother by Wandjina, in the Rosemont Stud draft, a significant update. Rosemont will offer the colt as lot and he could be one of the hottest things in the sale if Prairie Fire wins the big one at Caulfield. A Blue Diamond win for the Mick Price trained colt would also be a massive fillip for Sun Stud and their future stallion roster as they were the ones who bought him off the McKeons at sale. Last year’s Inglis Premier Sale result with the Snitzel x Consistency colt (now named Prairie Fire) was a real highlight for Ed McKeon with the gavel going down at $625,000. He was raised at and prepared for the sale by Rosemont Stud. Prairie Fire is out of the well-bred All Bar One mare, Consistency, a half-sister to top class galloper Nina Haraka, and dam of Extension Of Time. Nina Haraka is the sister to Monte Rosa, the dam of Snitzerland and Sooboog. 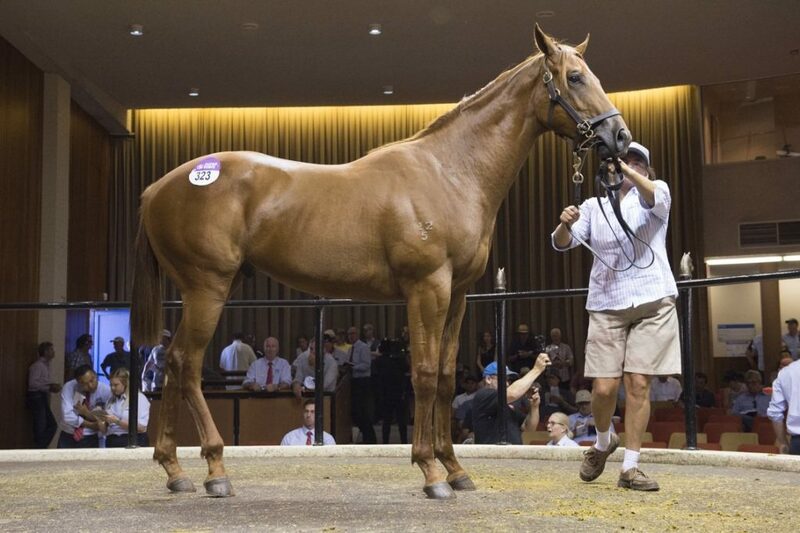 Consistency was a shrewd purchase by McKeon for just $70,000 at the 2013 Magic Millions National Broodmare Sale. 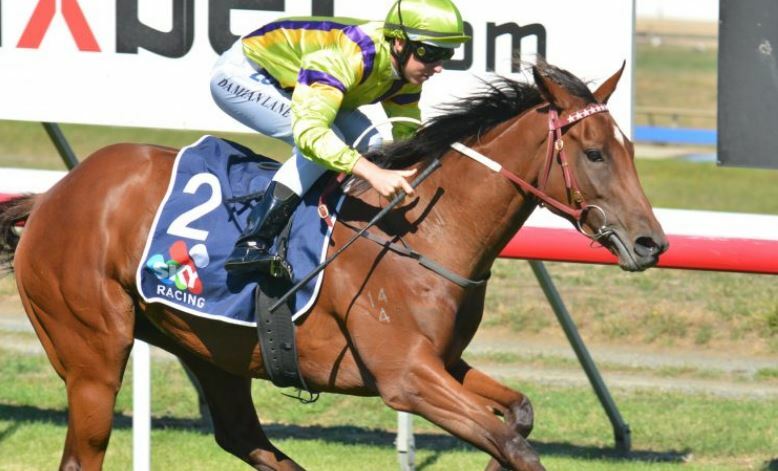 “I bought this mare Consistency with the specific task of going to Snitzel. She missed the first year to him, but I persisted and went the next year and it was certainly worth it,” McKeon said. Ed McKeon has tasted success at the highest level as a part-owner of Melbourne Cup winner, Tawrrific, but this Saturday’s Blue Diamond will be right up there as one of the highlights of his thoroughbred career. The McKeons have focused on breeding twelve quality mares this year and, along with their young stock, they all reside in the best of care at Rosemont Stud. They also prepare and sell the majority of the Palya sales horses. “Ed, Libby and Clark McKeon are great clients and great mates of ours,” Rosemont’s Anthony Mithen said. There are no feelings of regret from the McKeon about not keeping a hoof in their outstanding homebred two-year-old. “If I kept a share in all the ones I thought were going to be any good, I would be pretty broke by now!” Ed McKeon said. Hoofnote: A ‘Prairie Fire’ is a mixed drink traditionally consisting of whiskey and hot sauce. It originated in the American Midwest as a punishment for patrons that lost a bar bet in the 1970s – that would certainly be one way to start a lively Blue Diamond victory celebration!! What a Flemington Saturday it was for Anthony Mithen and the Rosemont Stud team. 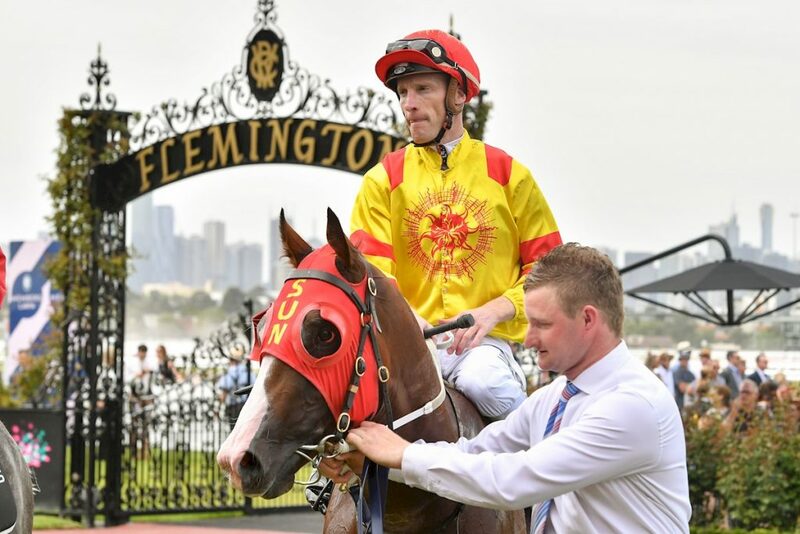 Having just calmed down from the thrill of seeing Rosemont Stud sales graduate Prairie Fire win the opener at Flemington on Saturday, Anthony Mithen was up and about again after the Rosemont bred Rimraam (Commands) won the Group 3 Vanity Stakes. “Timing is everything in this game and her win is a massive boost as we prepare her half-brother for the Premier sale,” Mithen said. 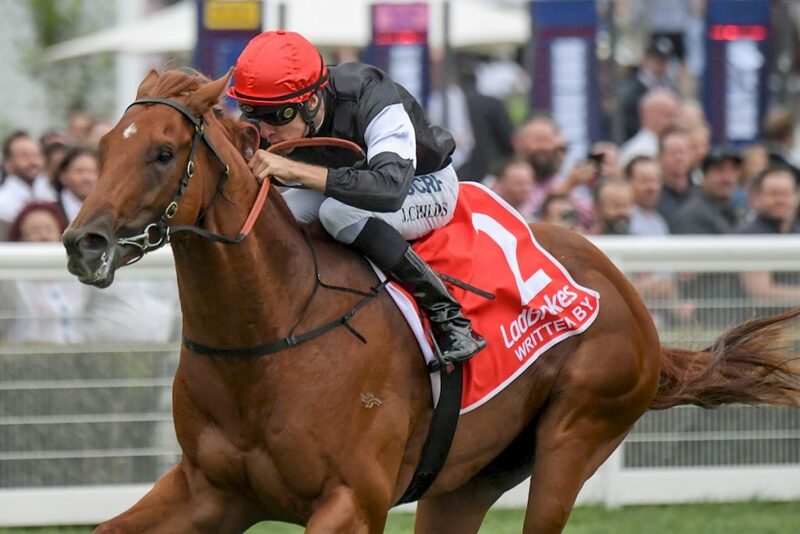 A dual stakes placegetter over 2000 metres in the spring, the Lindsay Park trained filly will head to the Group 2 Kewney Stakes at Flemington before being potentially going to the Group 1 Australasian Oaks in Adelaide and/or the Group 1 Vinery Stud Stakes in Sydney. “Rimraam certainly put the writing on the wall in the Spring, but maturity was going to be her key,” Mithen said. She is out of the Singspiel mare Swansea (IRE) which Rosemont bought for $55,000 out of a Darley Reduction at the 2014 Magic Millions National Broodmare Sale. In foal to Commands at the time, her page was relatively unimpressive. But not long after Swansea’s Lonhro colt named Sweynesse would prove among the best of his age at three winning the Group 3 Spring Stakes and placing in the Group 1 Randwick Guineas and Group 1 Spring Champion Stakes. 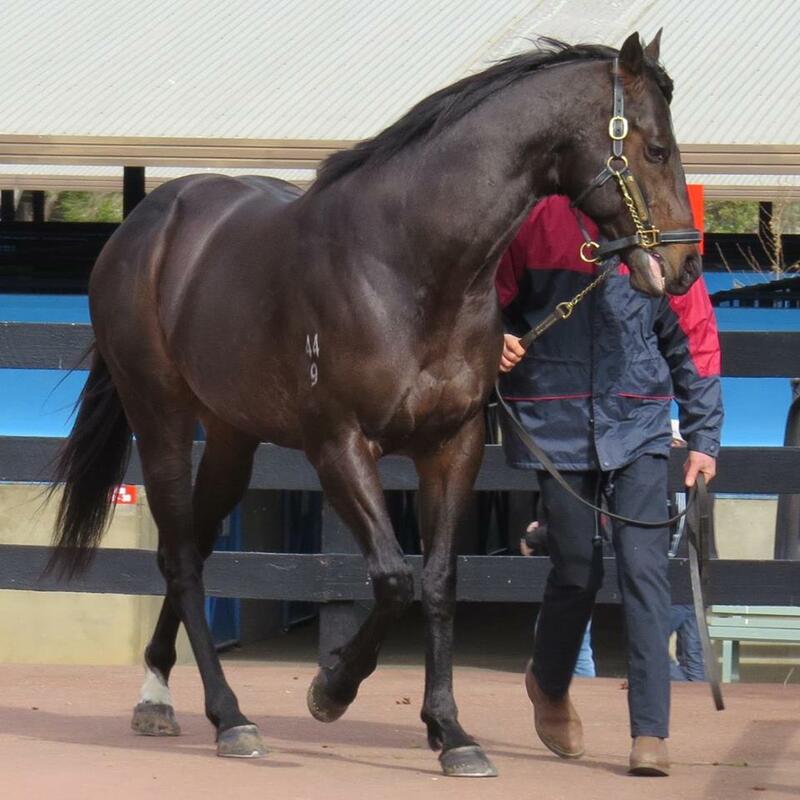 Her eighth foal, a colt by Savabeel, will enter the ring for Rosemont at the upcoming Inglis Premier Yearling Sale. “(Trainer) John O’Shea’s wife, Isabel is a 50/50 owner with us on the Savabeel colt, which is a good story in itself. They have been great mates of mine for over ten years,” Mithen said. Hoofnote: Rosemont’s resident stallion Toorak Toff has been having a good run of late, with the four-year-old Speedy King a winner in Hong Kong on Sunday night. He was bred by Rosemont’s good clients Michael Christian and Siobhan Miller of Saconi Thoroughbreds. And last Thursday the Toorak Toffs in the Rosemont colours took out a double with a couple of progressive three-year-old fillies winning at Pakenham. “These Toorak Toff winners just keep coming; they are nice tractable horses that want to train on. He is stamping himself as a wonderful “bread and butter” stallion and as both fillies have nice pedigrees, they will certainly be joining our broodmare band in the future,” Mithen said. The first Cluster to make her way through the yearling sales ring looks set to race with a variation of “Gee Gee” in her name after being purchased by successful owners Paul & Elizabeth Geard at Thursday’s Tasmanian Magic Millions. 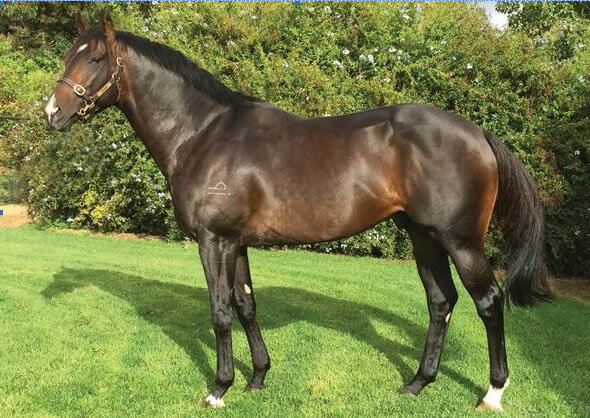 A member of the Larneuk Stud based stallion’s debut crop, the striking black filly was knocked down for $45,000 – a very healthy 6.8 times Cluster’s service fee of $6,600. The price was more than double the sale’s median price and over $15,000 more than the average. A daughter of the stakes placed six times winning Tough Speed mare Speedy Sky, she is a half-sister to the promising three-year-old City Of Dreams by fellow Larneuk stallion Ilovethiscity. A particularly handsome son of Fastnet Rock, Cluster boasts the strength of the Danehill line coupled with the elegance and athleticism passed on by his dam sire Last Tycoon. “When breeders see Cluster they tend to book a mare in,” Murdoch said, happy with a 2017 book that included well related daughters of Lonhro, Fusiachi Pegasus, High Chaparral, Rubiton, Zabeel, Street Cry, Galileo, Canny Lad, Success Express, More Than Ready and Flying Spur. “We’ve had a lot of breeders pay return visits as they have been so impressed with their foals,” Murdoch said. For further information on Cluster who stands at $6600 (incl gst), contact Neville Murdoch on 0418 105 706. Joe and Daira Vella were saddened by the passing of Wingrove Park’s foundation broodmare Dual Spark on February 12. Aged 18, Dual Spark was the first horse the Vella family bred in 1999 and would go on to win four races and over $100,000 in prizemoney. Trained by Robert Smerdon and Brian Mayfield-Smith, the daughter of Spartacus from Flash of Steel mare Sparky Miss will be fondly remembered for her deeds in the breeding barn as much on the racetrack. 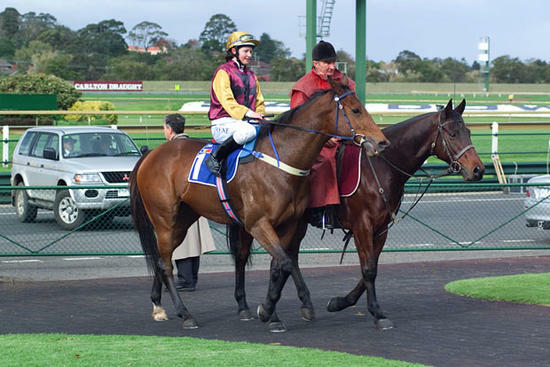 Dual Spark began her career winning on debut at Cranbourne as a two-year-old on June 23, 2002. She would quickly gain her first metropolitan win two weeks later scoring at Sandown and a second placing in the Group 3 Dermody Stakes would see her go black-type. A further two wins at Sandown and five placings would follow throughout her 18 career starts before her breeding career began. And what a career it was. In 2005 Dual Spark produced a bay filly by Flying Spur named Sparks Fly. A two-year-old metropolitan winner like her mother, she would go on to win the Listed Morphettville Guineas and a Group 2 placegetter. She finished fifth in the Group 1 1000 Guineas and is now the dam of a four time winner herself from one foal to race. Fillies by Elvtroem, El Spark, and Rakti, Sparks Alight, would follow with El Spark earning black-type when second in the Group 3 Aurarua Stakes. El Spark was also a two-time winner and city placegetter and her first foal is a three time winner on the racetrack.Sparks Alight was a wonderful race mare winning five races including the Bendigo Gold Bracelet and a city win at The Valley. Sadly we lost the highly talented Sparks Burn on the racetrack after going black-type as a two-year-old in the Listed St Albans and continuing the tradition of the family winning on debut. More Spark, by Domesday, is the only current progeny Wingrove Park are racing with three wins to her name and expected to join our broodmare band. 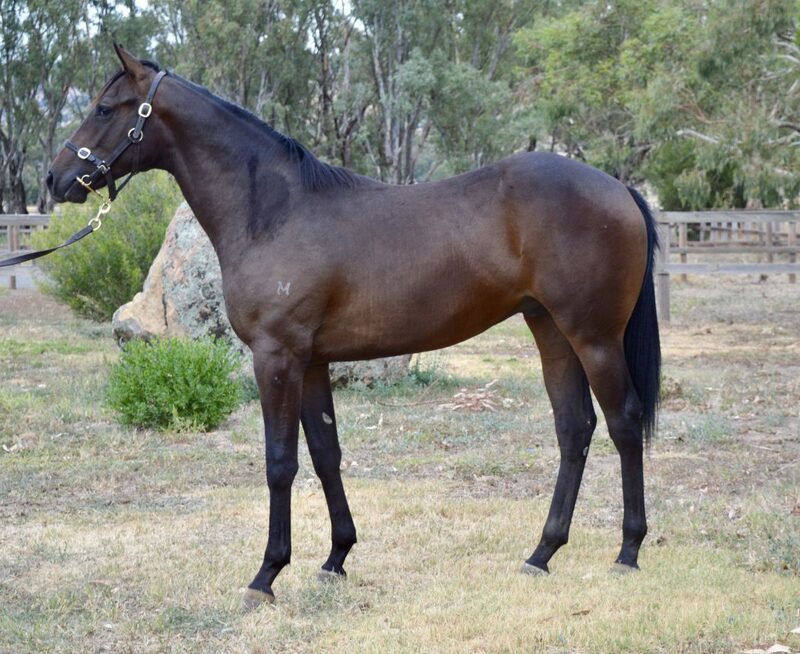 Progeny we have sold include multiple winner Just A Spark (by Artie Schiller) and Metallic Spark (by Helmet). There are currently unraced progeny by Denman (named Sparman), Kuroshio and Wanted on the ground. 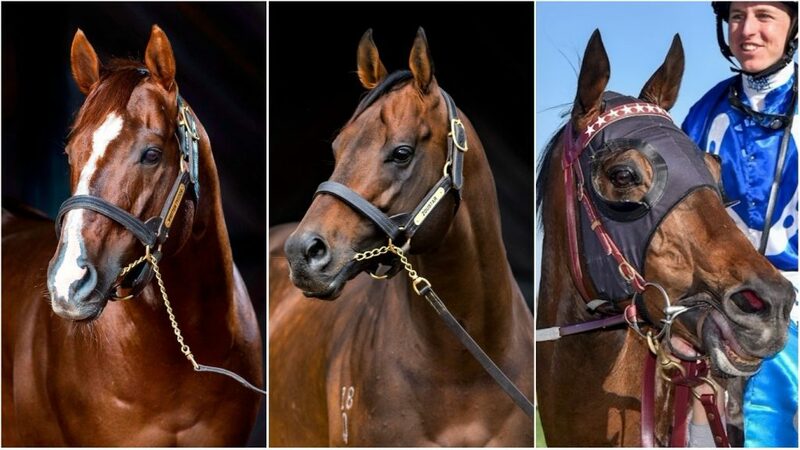 From seven foals to race, three of Dual Spark’s progeny have achieved black-type, two city winners and three won on debut collectively winning over $500,000. A remarkable effort from the racetrack that transcended into the breeding barn. Together with her cheeky and much-loved personality, Dual Spark will be deeply missed and we hope her legacy can continue to live on through her progeny. With all due respect to locals, there isn’t much to see in the township of Marong, some 150 clicks north west of Melbourne. The obligatory pub, a swimming pool, a primary school. There once was a racecourse too, but that’s now likely to be the Marong recreation reserve. However, while the track might be long gone, the Marong Cup – dating back to around the time Archer was winning his second Melbourne Cup – is still in full swing. Statistics are a bit sketchy according to Marong Racing Club Secretary, Greg Sheehan, but the earliest record he can find is the 1863 Marong Handicap (the equivalent of today’s Marong Cup) which was run over three miles and won by ‘Fred’. The Marong Cup would subsequently become a St Patrick’s Day fund raiser for the Catholic Community in nearby Bendigo. “The Club went into a bit of a recess in the early 1900s and raced intermittently, but got going again after the Second World War,” Sheehan points out. “From my understanding, one of the local priests got behind its resurrection, so to speak, and we’ve had our Cup meeting once a year since the 1950s, working in tandem with the Bendigo Jockey Club. However, while there could be some conjecture as to the accuracy of records from 150 plus years ago, what isn’t in doubt is the winner of the 2018 Marong Cup, the Daryl Archard trained and part-owned, Blue Jangles. 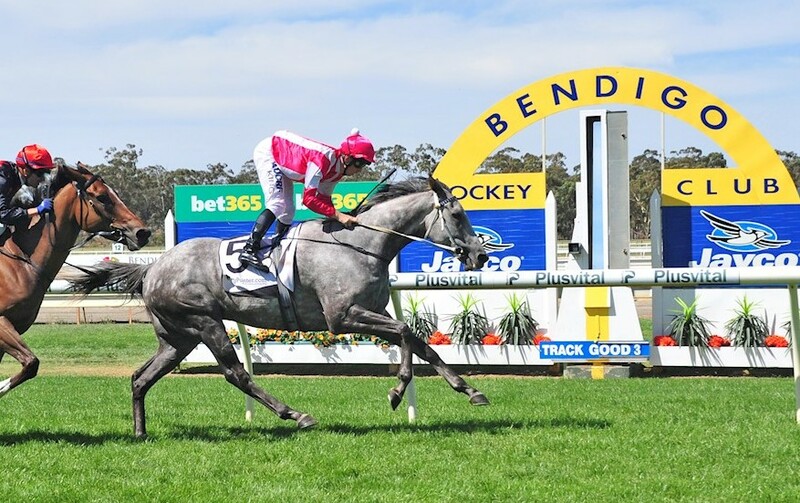 Previously a winner over 2040m at Moonee Valley, the 6YO grey, Blue Jangles powered home at Bendigo and is next likely to tackle a 3000m VOBIS Gold race at the Valley on Friday. Archard is one of a handful of trainers who operates out of the township of Echuca (his son Rhys is another) and has been training for 40 years, with his best runner to date being the Shy Rambler gelding, Section, who won the 1996 Listed JRA Cup at Moonee Valley. “I’ve got about 15 to 20 in work and it was terrific to get a win with Blue Jangles in the Marong Cup: he had an injury last year which kept him out for four or five months so to come up with that Marong Cup victory was pretty special,” Archard points out. 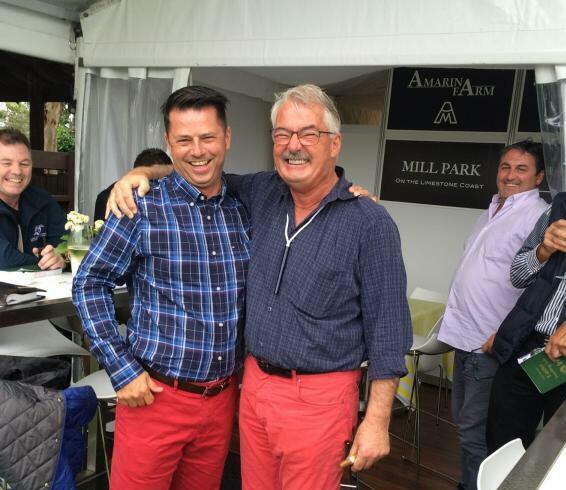 Co-owner and breeder, Fred Borg, was also impressed with the win and hopes that it augurs well for the upcoming 2018 Inglis Melbourne Premier Yearling Sale at Oaklands Junction from 4 -7 March. “I race about three or four horses with Daryl and have been involved in the industry for about 15 years. I’ve also got around eight broodmares that I own outright and another couple in partnership,” the Shepparton based, Borg, reveals. Borg has had some great success with his mares, including breeding the Group 3 winner Scarlet Billows and the Listed winning Reward For Effort filly, Desert Lashes. The Kuroshio offered by Kirstenvale Stables on behalf of Borg’s Cavallon as Lot 426, is the half to Scarlet Billows out of the Hussonet mare, Hushaby Baby, whose dam is the Group 3 SAJC Sire’s Produce winner Smytzer’s Rivalry. TBV member Damon Gabbedy (LEFT) has been passionate about the thoroughbred industry his whole life, which combined with hard work and a high level of enthusiasm, has led to the continued success of Belmont Bloodstock. 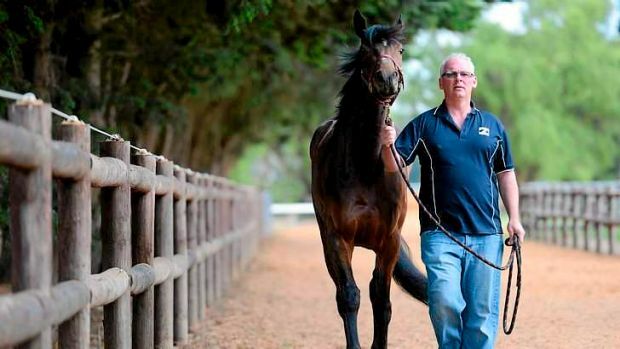 Originally from Western Australia, Damon’s love of horses developed at a young age through his family’s involvement in racehorse ownership, notably the Group 2 winner of the WATC Champion Fillies Stakes, Bynsaab. 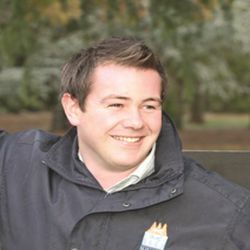 While at university Damon was taken under the wing of successful bloodstock agent John Chalmers, gaining valuable experience at Goodwood Bloodstock (now Magic Millions), compiling and tabulating pedigrees for the sales catalogues. However, no matter how comprehensive the preparation before a sale, a quality Damon prides himself on, there are no set rules to buying bloodstock. A foundation member of the Federation of Bloodstock Agents Australia, Damon operated Belmont Bloodstock in partnership with its founder Debbie Evans in Western Australia for ten years, before taking over the reins and making the move to Victoria. With a long and distinguished list of Group 1 winners that Belmont Bloodstock have either sourced directly, bought the dam of or acquired as yearlings, the famous gallopers Pinot, Encosta De Lago, Palentino, Jezabeel, Foxwedge, Northerly, Alinghi, Scenic Shot and Sheidel are but a few on their illustrious honour roll. Now calling Victoria home, Belmont Bloodstock’s relationship with Swettenham Stud goes back many years, to the days of Scenic and Collingrove. Damon has been a great supporter of Swettenham’s stallions through pedigree matches and mare bookings, knowing his clients are in good hands. Keeping his eye on international bloodlines, Damon is French auction house, Arqana’s representative in Deauville, promoting the significant influence imported mares have made on the Australian thoroughbred scene and keeping abreast of global breeding trends. The VOBIS Gold and the VOBIS Sires initiatives with the addition of the lucrative “Showdown” race in 2019 have provided a terrific boost to the Victorian breeding industry, and the presence of the VOBIS Sires hip sticker on eligible yearlings will not go unnoticed by Belmont Bloodstock. If you are a breeder or simply a thoroughbred enthusiast, a TBV membership is a must for you.